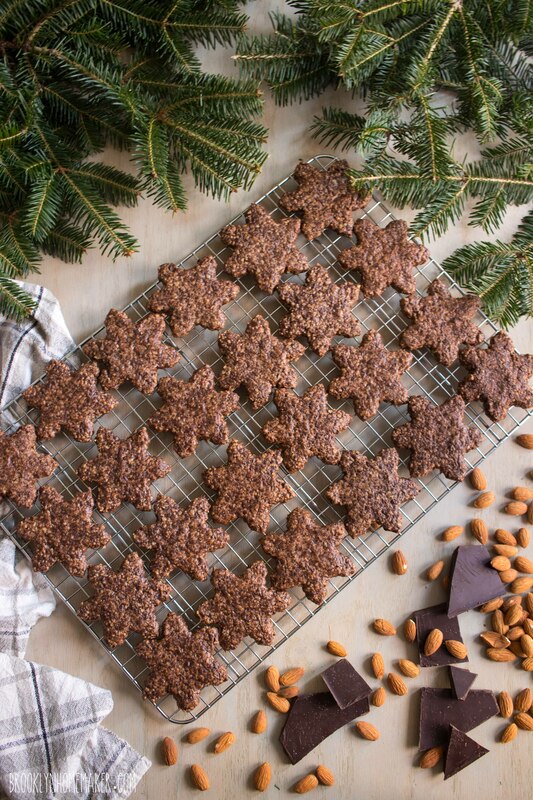 Have you guys decided which cookies you’ll be baking for the holidays yet? 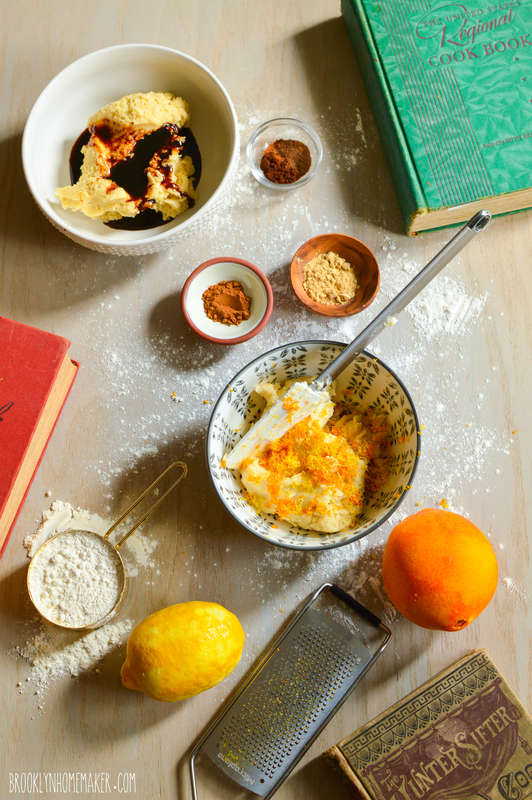 Have you narrowed it down to just one recipe, or are you making a few different kinds? When I was little my grandma would always have a big tray of homemade cookies on the counter every Christmas, and it was always so much fun to choose which kind to try first. Being the chubby little dough boy that I was, by the time we were done opening presents you better believe that I’d tried each and every recipe she had on that platter, sampling a few of them more than once, you know, just to be sure. This year I signed up for a cookie swap at work and I couldn’t be more excited about it. I’ve always wanted to host one myself but never thought enough of my friends would be interested to make it work. This year though, one of my coworkers suggested it and to my surprise, so many people signed up that I’m actually worried about how many batches I’m going to have to make. The more people who sign up though, the more varieties of cookies I’ll have for my holiday spread this year. An embarrassment of riches y’all! Originally my plan was some kind of spicy gingerbread cutouts, but after Nordic Ware reached out to me to ask if I’d be interested in a project they’re working on with the Minnesota Historical Society, I might just have to change my plans! 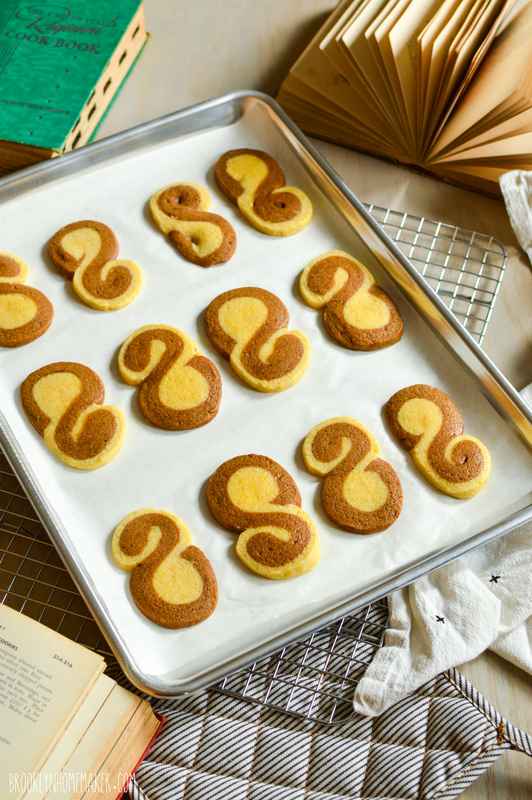 To celebrate their Scandinavian American roots this holiday season, Nordic Ware joined forces with the Minnesota Historical Society and Mill City Museum to help them promote a special holiday cookbook they’ve just released. Nordic Ware has been a major part of Minnesota’s heritage and history since 1946, and they’re still a family owned company! The Minnesota Historical Society helps preserve Minnesota’s past, shares the state’s stories and connects people with history in meaningful ways. 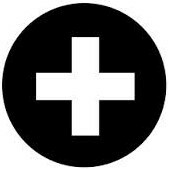 They play an important role in Minnesota’s historic preservation, education and tourism; and provide the public with award-winning programs, exhibitions and events. Part of the historical society, The Mill City Museum was built into the ruins of what was once the world’s largest flour mill, located in Minneapolis on the historic Mississippi Riverfront. They teach their visitors about the intertwined histories of the flour industry, the Mississippi river, and the city of Minneapolis. Written by self proclaimed Nordic food geek and meatball historian Patrice M. Johnson, and published by Minnesota Historical Society Press; Jul: Swedish American Holiday Traditions focuses on the Christmas food traditions of Swedish Americans in the Midwest. From smörgåsbord and St. Lucia processions, to Christmas Eve gatherings with family and friends, Swedish Americans are linked through the generations by a legacy of meatballs and lutfisk. Throughout the Midwest where Swedish immigrants settled, holiday dishes placed on the julbord (Christmas table) tell stories about who they are, where they come from, and where they are heading. 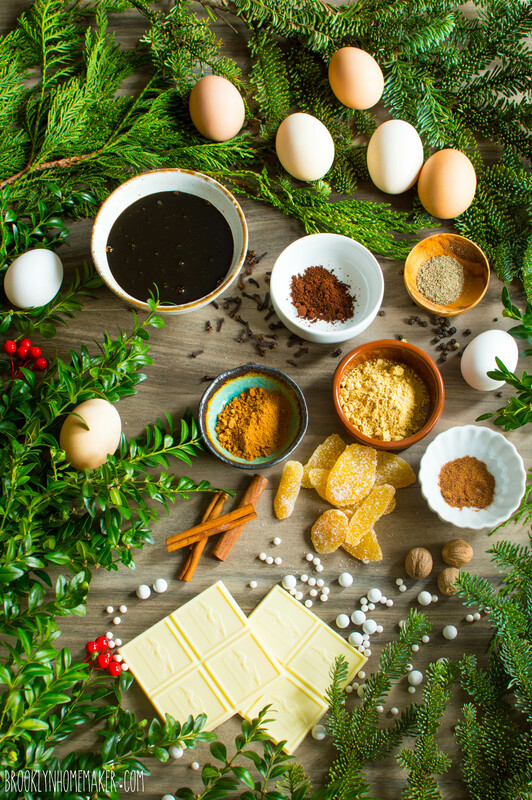 In exploring Swedish American holiday customs, Johnson begins with her own family’s Christmas Eve gathering, which involves a combination of culinary traditions: allspice-scented meatballs, Norwegian lefse served Swedish style (warm with butter), and the American interloper, macaroni and cheese. 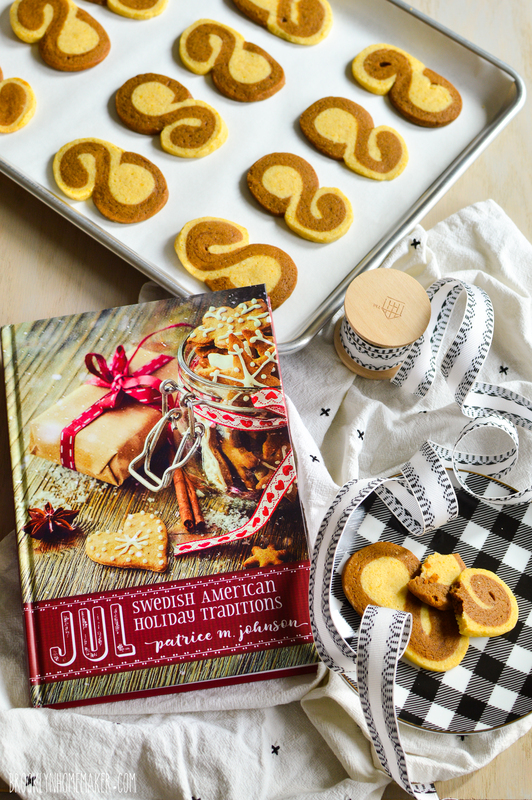 Just as she tracks down the meanings behind why her family celebrates as it does, she reaches into the lives and histories of other Swedish Americans with their own stories, their own versions of traditional recipes, their own joys of the season. The result is a fascinating exploration of the Swedish holiday calendar and its American translation. Jul is full of recipes that are perfect for holiday celebrations, even if you don’t have Swedish or Scandinavian roots. 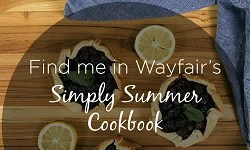 The are tons of mouth-watering recipes for celebratory savory dishes, drinks, and desserts, but I went straight for the cookies when I was deciding which recipe to try out and share. 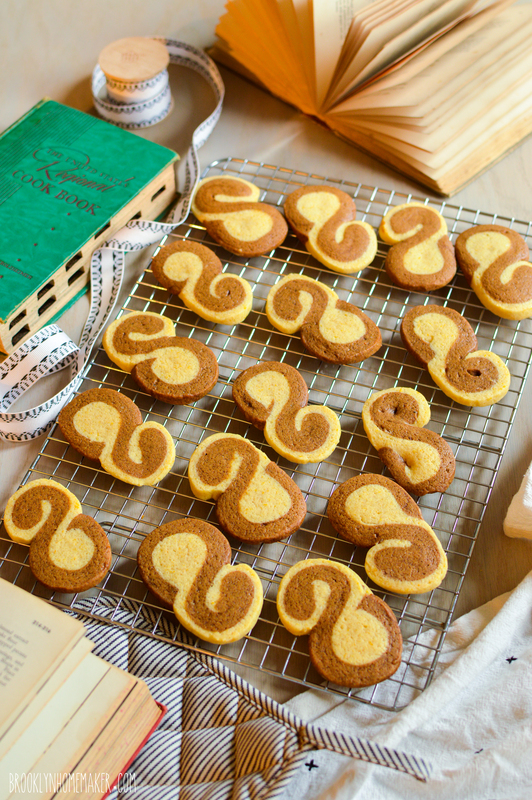 Coming from a German American family, I share the author’s love for heavily spiced holiday treats and it didn’t take me long to zero in on a fun and unusual recipe for spice cookies she calls “Ginger Pinchies”. 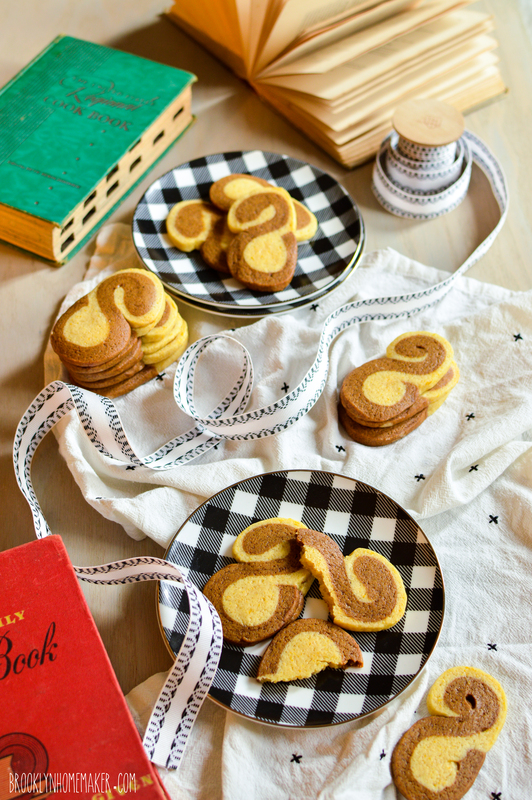 These two-tone cookies were named after Johnson’s cat Pinchy, and inspired by her daughter’s love of ginger and her aunt’s well-worn copy of a Swedish Tabernacle Church Cookbook. 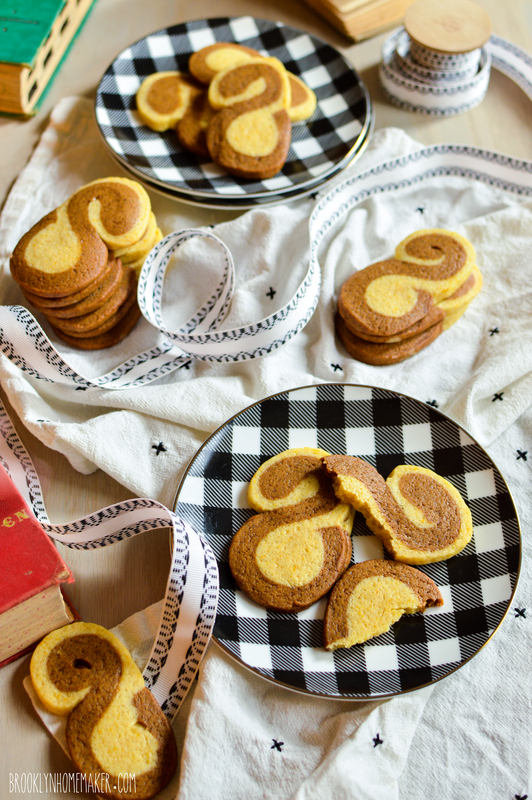 Although they’re rolled up differently, the recipe is similar to a traditional pinwheel cookie. 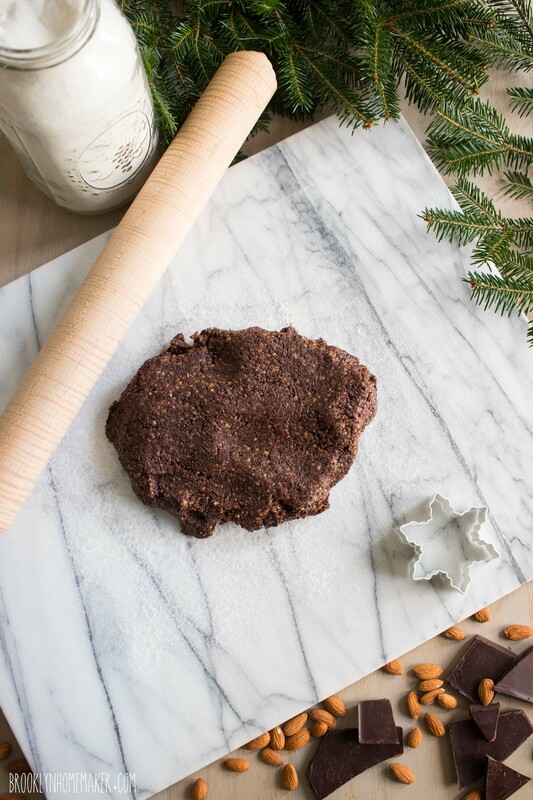 Rather than chocolate though, the dark part is a ginger-heavy spiced molasses dough and the light is perfumed with fresh citrus zest and a touch of vanilla. 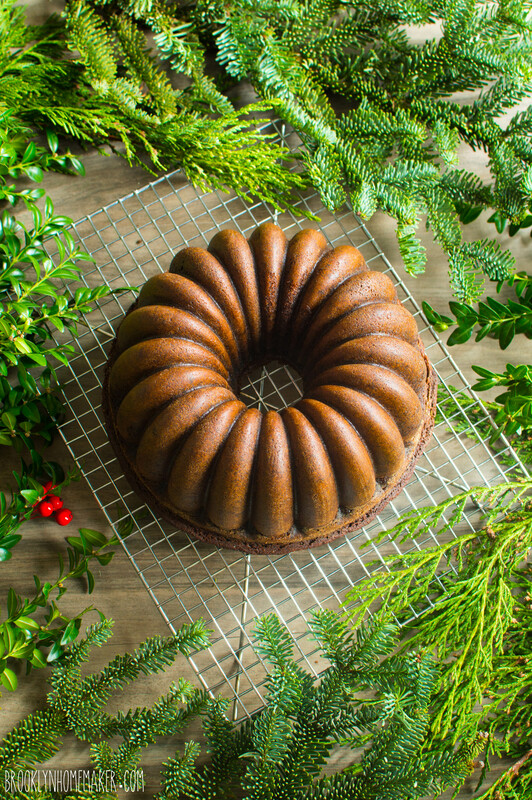 It reminds me so much of an Old-Fashioned marble cake recipe that I found in an old cookbook from the 1940s, which I made into this stunning holiday bundt a couple years ago! Reading that this recipe was a 2015 Minnesota State Fair Gold Medal Flour Cookie Contest Blue Ribbon Winner was all I needed to see to know this was the one for me. The results are in y’all, these cookies are amazing! The light part is citrusy and delicate, soft and chewy, and I absolutely love the contrast with the rich and spicy molasses dough. Taken all in one bite they balance perfectly, and because I’m a nerd I also tried eating each dough separately in small bites to see how I liked them on their own. Just perfect! Thanks to my new Nordic Ware half sheet pans, the cookies baked up perfectly tender with delicately and evenly browned bottoms. While dark non-stick pans can sometimes overheat and burn the bottoms of cookies, these professional grade pans heat evenly and consistently producing perfectly baked cookies every time! 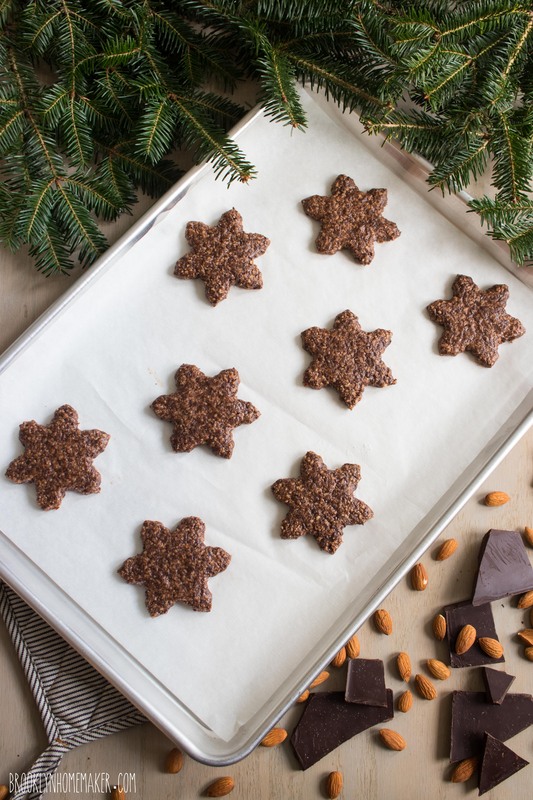 These cookies are absolutely ideal for your holiday spread, and they’ll be great for my cookie swap. 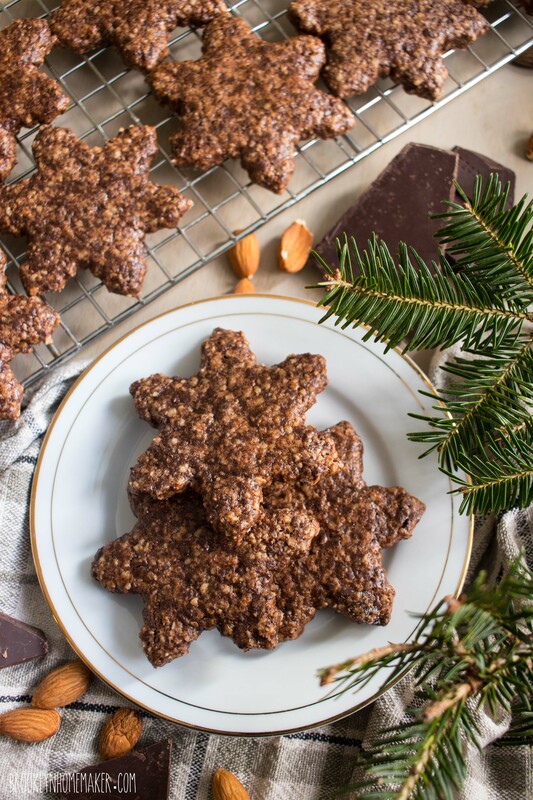 You should definitely check out this cookbook for yourself, but so you don’t have to wait to make these cookies, I’ve shared the recipe below. Use a stand mixer with paddle or a hand mixer to beat butter on low speed for about 30 seconds. Gradually add sugar and bead on medium speed until fluffy, about 3 to 4 minutes. Turn mixer to low and add egg yolk and milk and mix well. In a small bowl, whisk together 1 1/2 cups flour, baking powder, and salt. Gradually add flour mixture and continue beating until dough forms. Preheat oven to 350 degrees and line baking sheets with parchment paper. 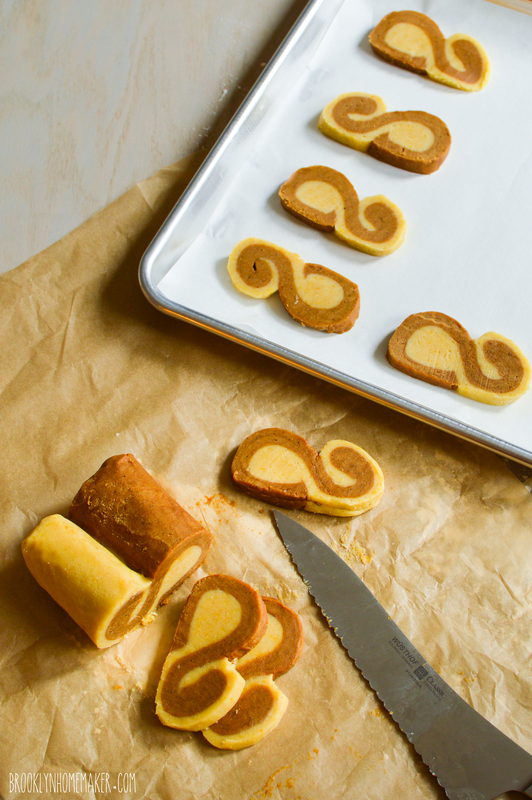 Slice chilled dough into 1/4-inch-thick slices for about 16 S-shaped cookies. (I sliced my log in half, then into quarters, then sliced each quarter into 4 slices to get 16 evenly sliced cookies) Place on prepared baking sheets about 1 to 2 inches apart. Bake for 8 to 10 minutes or until evenly browned on the bottom. Cool on rack. When it comes to being a food blogger, there’s a lot of pressure to come up with “original” recipes. Thing is, there ain’t much out there that ain’t been tried before. Odds are that any flavors you’re considering combining have probably already been combined before by someone else, somewhere else. 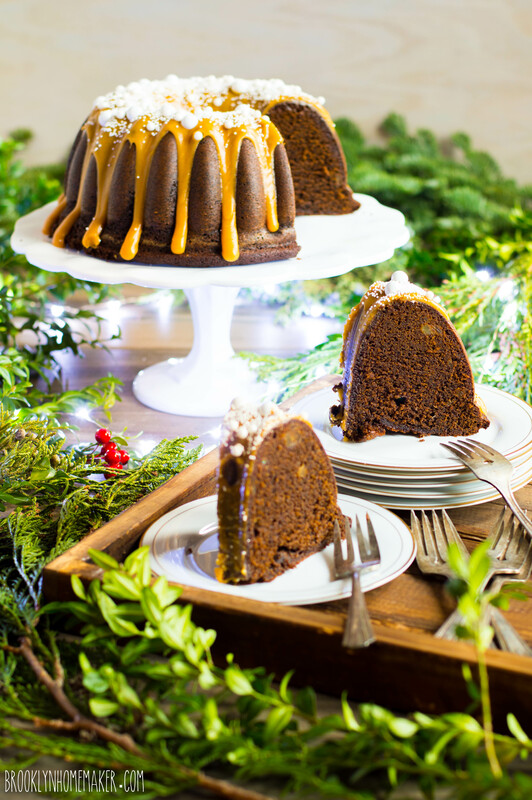 When Laura from Baking in Pyjamas chose “winter wonderland” as our #bundtbakers theme this month, my very first thought was of a deep, dark, super spicy gingerbread bundt cake. There is nothing in the world that says winter holidays to me more than the combination of warm spices and molasses. The problem? 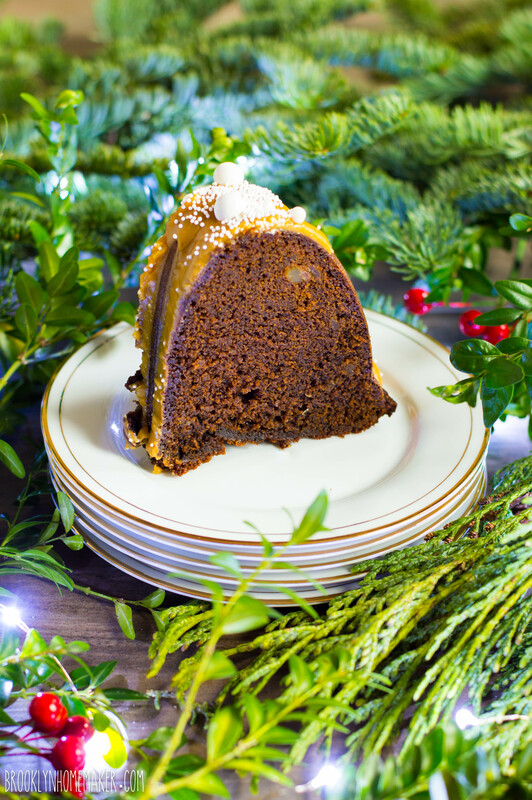 Everybody and their uncle is posting gingerbread cake recipes right now (and have been every December since the advent of the food blog). As much as I wanted to bake some dark, dense, spicy, & chewy gingerbread for myself, I decided that I should probably try to come up with something a bit more unique. Life is hard sometimes you guys. After a bit more brainstorming, I remembered the caramelized white chocolate I’d read about on my friend Lindsay’s ice cream blog, If the Spoon Fits. Now, before you start with the whole “white chocolate is gross/too sweet/boring/stupid/not chocolate” comments, hear me out. When you take the time to slowly caramelize good white chocolate in the oven with a sprinkle of flaky sea salt, it transforms into something completely new and exciting and magical. The sugars in the chocolate caramelize and the cocoa butter gets richer and deeper and almost butterscotch-y. While it still has the texture of white chocolate, the flavor is much closer to a rich and creamy salted caramel. When Lindsay first posted about it I was a bit skeptical that white chocolate could really be THAT GOOD, but I made a mental note and filed it away for a rainy day. 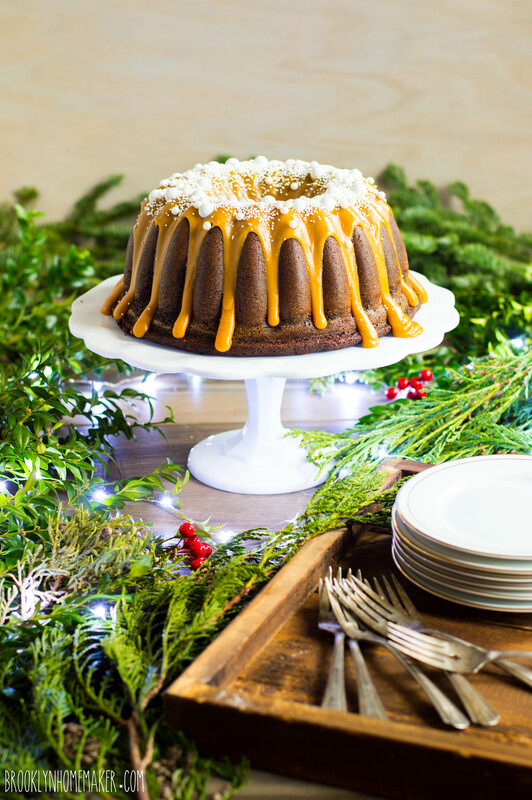 A winter wonderland themed bundt cake seemed like the perfect rainy day opportunity to bust it out. I had faith in Lindsay that the flavor would be great, but I felt like I’d want a bit more texture and interest so I decided to add some nuts. Almonds, walnuts, or pecans would have been ideal choices for flavor and crunch, but I decided that roasted chestnuts would be sooooo much more winter wonderland-y. Oddly enough, even though my Grandfather has two giant old chestnut trees in his yard, as best I can remember I’ve never actually eaten a chestnut and had no clue what they tasted like. I called my Grandmother to ask her about it, and she confirmed that even though they’re in the yard, she’d never attempted to eat or cook with them. I remember their spiky green outer shells littering the yard when I was a kid, but I think the squirrels always made away with most of the nuts inside. Maybe that’s why they never really made it into the house. So, not knowing what to expect, I went to the store and picked up a jar of expensive fancy pants French chestnut puree, along with a pound of whole chestnuts that I wanted to try to oven roast. Oh lord what a mess. Did you know that roasted chestnuts can explode if you don’t score the shell in the right place? After oven roasting them according to Martha’s instructions, I noticed that one of my chestnuts hadn’t opened at the score line. A few minutes after it came out of the oven, I poked the unopened chestnut with a knife. I’m not really sure why I did it, but it was definitely a mistake. There was a loud POP like the sound of a sealed soda bottle being run over by a car (Is that a sound everyone knows, or is that just because I live in Brooklyn?). Anyways, the two halves of the shell went flying across the kitchen in opposite directions, one landing on my dish rack and the other on the floor in front of the refrigerator. The chestnut meat itself practically vaporized into a fine, hot, sticky chestnut dust that sprayed all over my kitchen; sticking to the oven, the walls, the side of the fridge, the counters, cabinets, and floor. A bit later I walked past the mirror and found chestnut dust covering my beard and stuck to my cheeks and forehead. Yesterday I was in the kitchen and happened to glance up and notice there was chestnut dust all over the ceiling. After the initial shock of the whole thing, I just stood there laughing like crazy for a good 10 minutes before I cleaned up the mess. Luckily there were a few whole chestnuts left that I could use, so I peeled one open and tasted it. Can anyone tell me why people like chestnuts? I was expecting something, oh, I don’t know, nutty? But no. This thing was bland and flavorless while also being oddly sweet, with a soft, pasty, almost bready texture rather than the satisfying nutty crunch I was anticipating. I eventually decided that I must just be missing something because I’m not used to them, so I wanted to forge ahead. Since the roasted chestnuts wouldn’t have the crunch and texture I was hoping for, I decided to just go for flavor and mix the chestnut puree into the cake batter instead. Ugh. You guys. There are entire songs devoted to chestnuts this time of year. I just don’t get it. The chestnut puree made the cake rubbery, dense, slightly bitter, and strangely grey-ish. A few days later I considered baking a new caramelized white chocolate cake with some crunchier, nuttier nuts, but ultimately my first cake was such a traumatic experience from start to finish that I couldn’t bring myself to try again. After some soul searching, (Is it weird that my life is filled with so much bundt-related soul searching?) I decided to scrap the whole thing and go back to the gingerbread cake I’d wanted to make in the first place. Who cares if a bajillion other people have already made similar cakes? As long as I enjoy it and stand behind the recipe, why not? Since I’d already gotten more white chocolate, and really was impressed with the caramel-y flavor, I decided to go ahead and use it to make a ganache glaze for the cake. After that first cake, it felt SO DAMNED GOOD to have this one turn out so well. 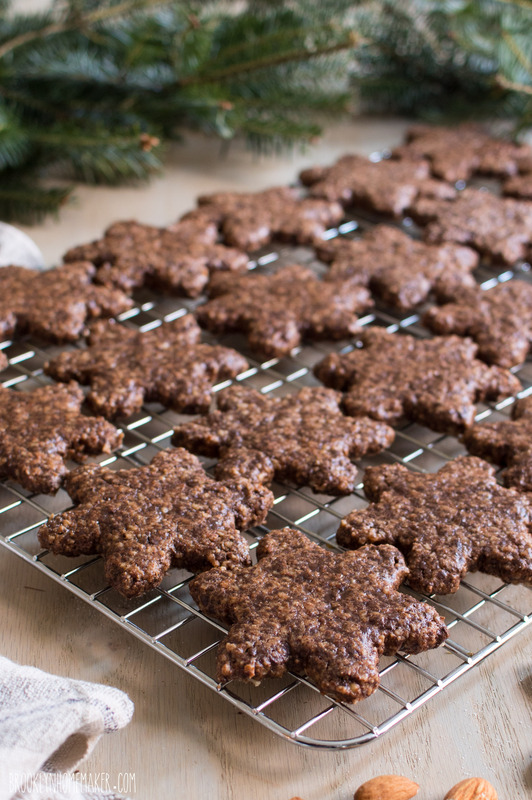 Having grown up with traditional spicy German Christmas cookies like pfeffernusse and lebkucken, I like my gingerbread super dark and spicy so I use lots of molasses and plenty of spice. I even like to use a touch of ground black pepper for a bit more heat, and along with the dried ginger I like to stir some little chewy chunks of crystallized ginger into the batter right at the end. 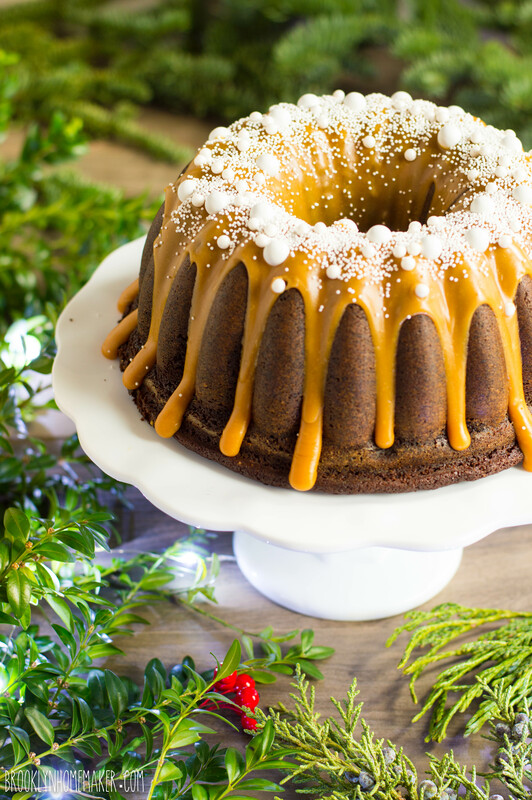 The caramelized white chocolate ganache takes some time to make, but it adds a lovely sweet, salty, caramel-y touch that perfectly compliments the rich, deep flavors of the cake. 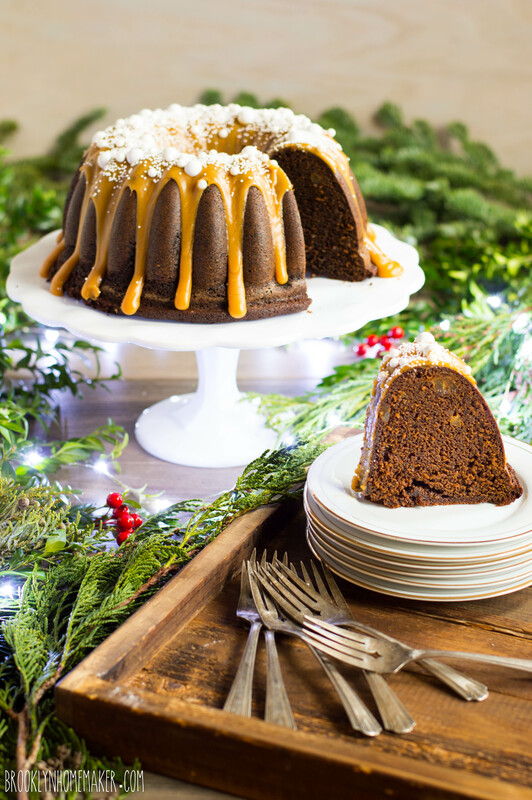 If you like gingerbread, especially dark, dense, spicy, chewy, old-world gingerbread; you’re going to flip for this cake. It’s unbelievable right out of the oven, but the best part is that it even improves with age so it can (and should!) be made a day or two ahead. After a few days it seems even more tender, moist, and flavorful than it did when I first sliced it for these photos. 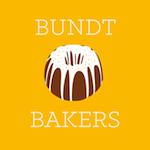 Please be sure to scroll down past the recipe to see all the other winter wonderland themed bundts the other #bundtbakers came up with this month! Preheat the oven to 350°F. Butter and flour a 10- to 12-cup bundt-style pan. In a large bowl whisk together the flour, salt, baking soda, baking powder, and spices. Set aside. In a separate bowl, whisk together the molasses and water and set aside. In the bowl of a stand mixer, beat together the butter, oil, and sugar until light and fluffy, about 2 to 3 minutes. Add the eggs one at a time, beating well and scraping the bottom and sides of the bowl after each addition. Add the flour mixture in three additions alternately with the molasses water, starting and ending with the flour. Add the chopped crystallized ginger with the last addition of flour, and mix just until smooth. Do not over-mix. Pour the batter into the prepared pan, smooth the top, and bake for 55 to 65 minutes, or until a cake tester inserted into the center comes out clean. Cool in the pan on a wire rack for at least 20 minutes, then turn the cake out onto the rack to cool completely. If desired, make the caramelized chocolate while the cake cools. Recipe below. I recommend baking this cake a day or two ahead. It improves with age! Cake can be kept in an airtight container at room temperature for up to three days. *note: It is totally normal and okay if this cake sinks a little bit in the center. If the white chocolate is in a block or bar, chop it into coarse pieces. Spread the white chocolate in an even layer on a rimmed baking sheet and heat for ten minutes. Remove it from the oven, add the oil, and spread it out with a clean, dry spatula. Continue to cook for and additional 30-60 minutes, stirring and spreading every 10 minutes. At some points it may look lumpy and chalky, but keep stirring and it will smooth out and caramelize. Once the chocolate reaches a deep golden brown, remove from the oven, scrape into a bowl or large measuring cup, and whisk in the salt and heavy cream until completely smooth and free of lumps. Once the cake is completely cool drizzle the still slightly warm ganache over the cake and, if desired, top with optional decorations before it cools and sets. 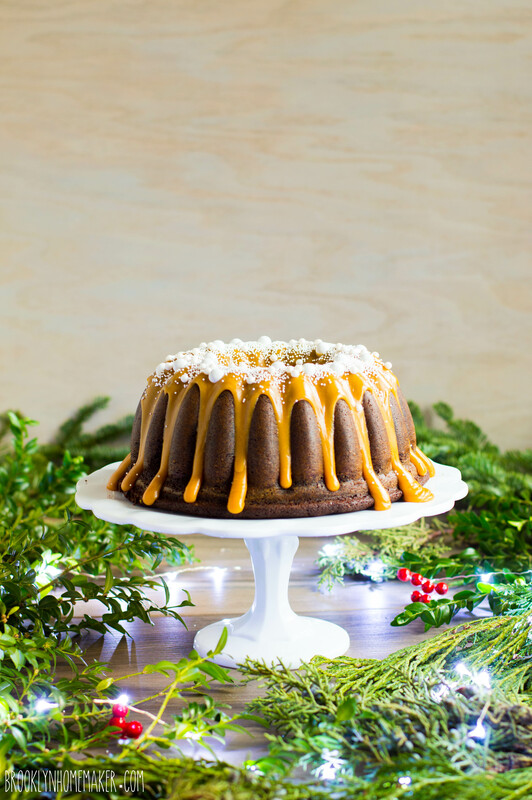 These wonderful wintery bundts are definitely putting me in the Holiday spirit this year! Thank you Laura for choosing such a perfect theme for the month of December!